Get rich, lush spinning-speaker tones right from your pedalboard. 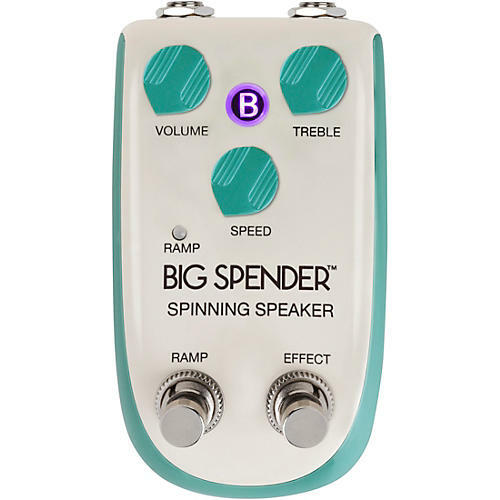 The Danelectro Billionaire Big Spender Spinning Speaker effects pedal delivers the best ever spinning-speaker tones — rich, lush and sparkling. The Ramp switch lets you initiate next ramp move and select direction of ramp move (up or down). Even if you never liked spinning speaker effects, you’ll love this.